iDiski - Soccer Blog and Football News PSL news Does Teko Modise deserves to be benched? Does Teko Modise deserves to be benched? Hlompo Kekana and Tiyane Mabunda are doing a great job in that midfielder and whenever Mamelodi Sundowns plays its always guaranteed that they will start the game. On the other hand there's Teko Modise the Mzants's number one when it comes to pass the ball. Not just passing the ball but champagne passes. The question is does he deserves to sit on the bench? For me he deserves to start he can do anything if he can be given a chance. Tiyane Mabunda yes is playing a good brand of football but Teko Modise can deliver more than that in terms of successful passes. We are talking about the General Navigator Google Earth Modise one of the best players in our country. 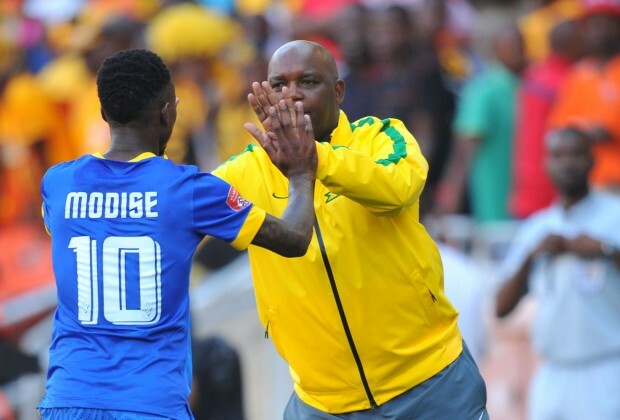 Yes age mighty be a problem but now he is playing a matured football but Pitso Mosimane will be the decider.